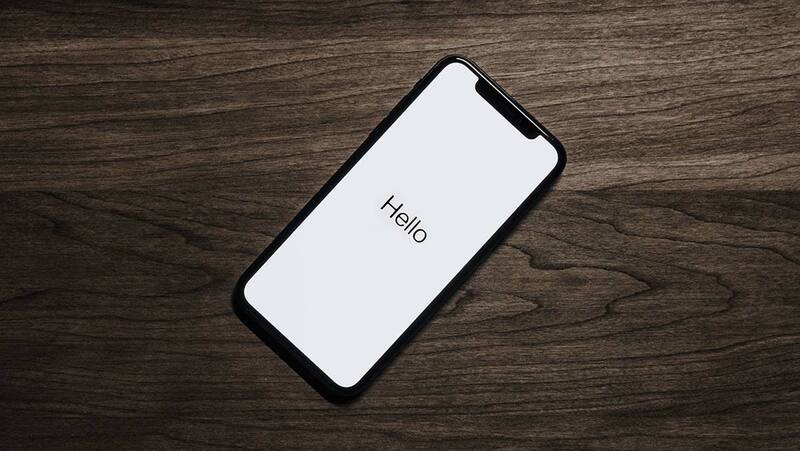 This is a broad title, but here’s a quick list of some of my favourite apps that I’m using for marketing work these days. Largely used on iPhone but some with web and PC/Mac versions as well. 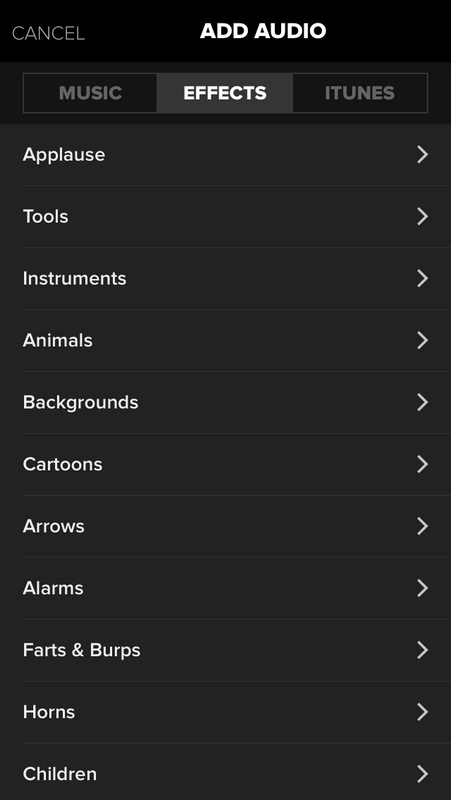 Most of these are free with paid plans which you can use to unlock extra features. I use all of these regularly in my role as Marketing Manager for a large automotive group with two others on my team. 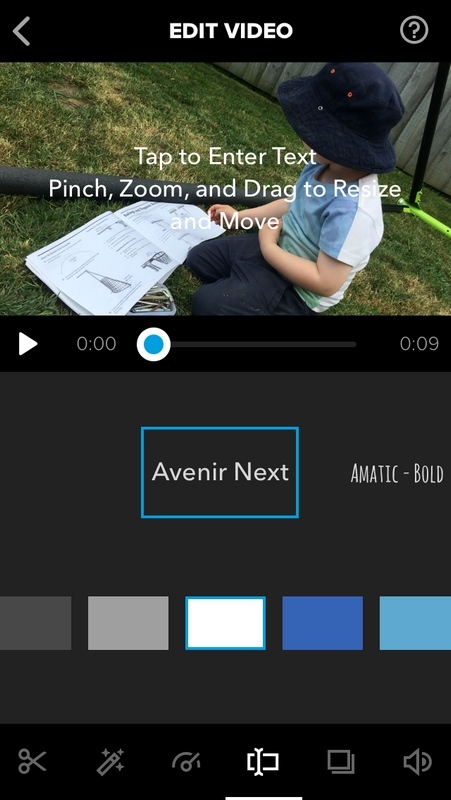 Most are for project management and team collaboration, but I’ve also included a video editing app that I particularly like. Grammarly is a tool to improve your writing that I tried years ago. Back then it was a little buggy and – most importantly – if you were using it to edit content on a website it would insert its own code tags around words that it corrects, increasing the amount of messy code on a page. Now that Grammarly’s launched its own iOS keyboard, I figured I’d give it another go. So far, it’s proving to be an excellent tool that I’m finding very useful. Anyone who knows me will be aware that I’m a stickler for accurate spelling and grammar (everyone loves being corrected, right?). Sometimes this feels like a dying art, largely thanks to social media, texting, and even rushed news articles with poor spelling and grammar… but I think it’s an essential skill for any marketer representing their business through the written word. Small businesses that allow social media posts, texts, emails and other communications to ‘go live’ with spelling mistakes and poor grammar are in real danger of ruining their brand. Having said that, we’re all guilty of rushing content at times, and the ability to publish so much from a smartphone adds fuel to the fire (please don’t check my past work too closely!). Plus I’ve never really been quite sure as to whether I’m using too many or not enough commas. It keeps me up at night. That’s why Grammarly is such a great tool. 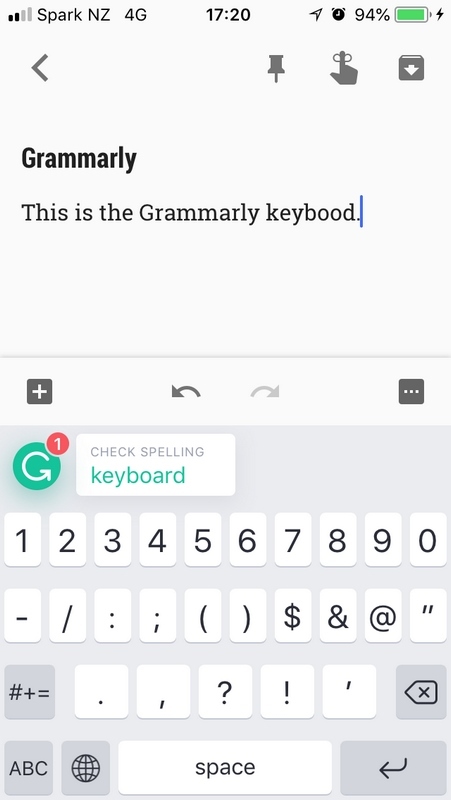 As mentioned, Grammarly now has an iOS keyboard that checks both spelling and grammar as you type. 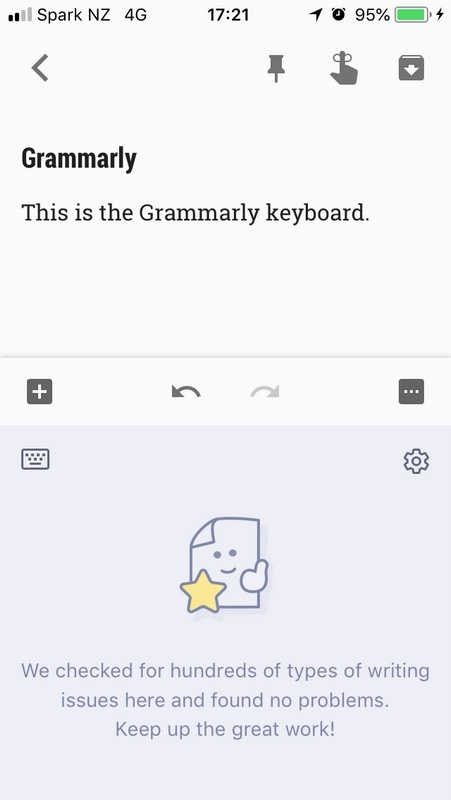 Unlike the regular keyboard – which also has these functions – Grammarly takes things to the next level, with high-level punctuation and sentence structure suggestions that have caught me out more than once. 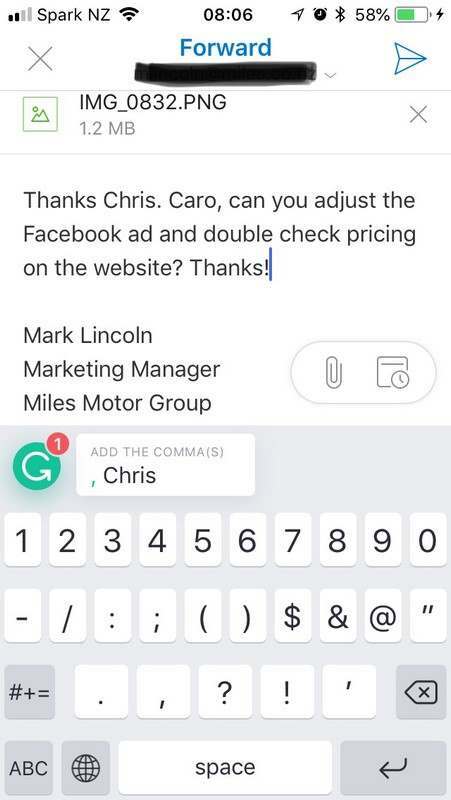 So next time you’re creating an Instagram or Facebook post from your iPhone, you’ll have your own quality typing assistant to help you craft the perfect message. Combine this with the Grammarly Chrome extension (that’s checking this WordPress post as I type) and add-ons for both Windows and Microsoft Office, and you’re pretty much covered wherever you publish text. Over the years, I’ve tried a large number of to-do apps which have all met the same fate. 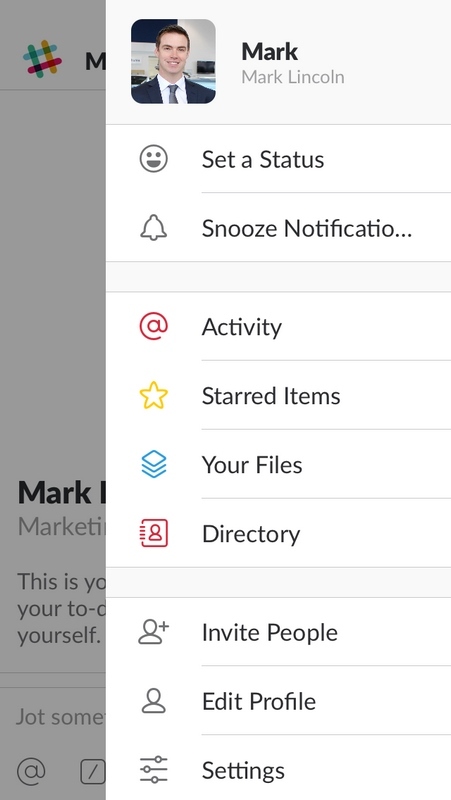 Examples include Wunderlist, Workflowy, AnyDo and more. They look great at the beginning but quickly cave in under the sheer volume of complicated to-do entries, especially when you’re trying to relate to-do items to multiple businesses or brands that you might be working with, or including team members. I’ve left a trail of overflowing to-do apps in my wake! ‘Natural language’ to-do entries, e.g. “Collect the showroom signage next week” will set the to-do for Monday. “Review our marketing calendar next month.” will set the to-do for the 1st of the next month, etc. Simple views: see what you need to do today as well as your task list for the next 7 days. 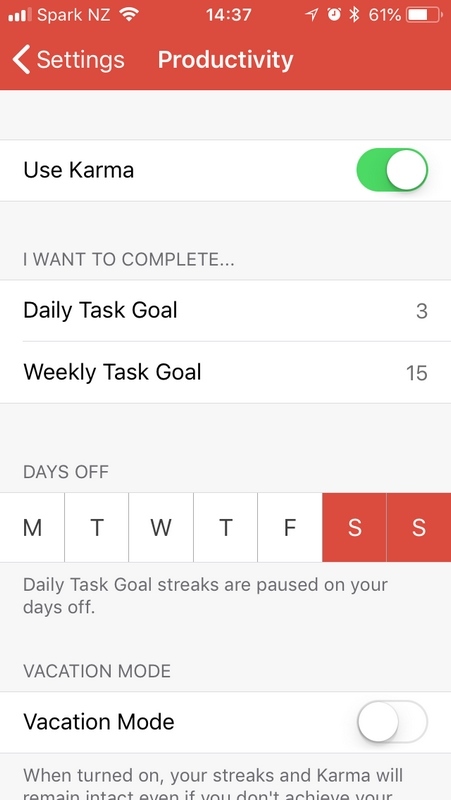 Reschedule overdue tasks: Click this when work gets on top of you and take a few minutes to reschedule your task list, including ‘suggested dates’ for your items depending on your typical task completion rate! Send an email to add a task to a particular project, using the subject line as the to-do item name, and the email body as a comment on that to-do item. e.g. if someone emails you with a request that includes key details, you can forward that email to your project email address and have the email on hand when you next view the to-do item. Essentially for me, it also includes the ability to create projects and add tags. Once you’ve created a project, you can share that project with other users. As a Marketing Manager for a group of stores, I’ve created a project for each, loaded those with tasks relevant to those stores, and can then share each project with that store’s General Manager so they can review my workload and re-prioritise as needed. 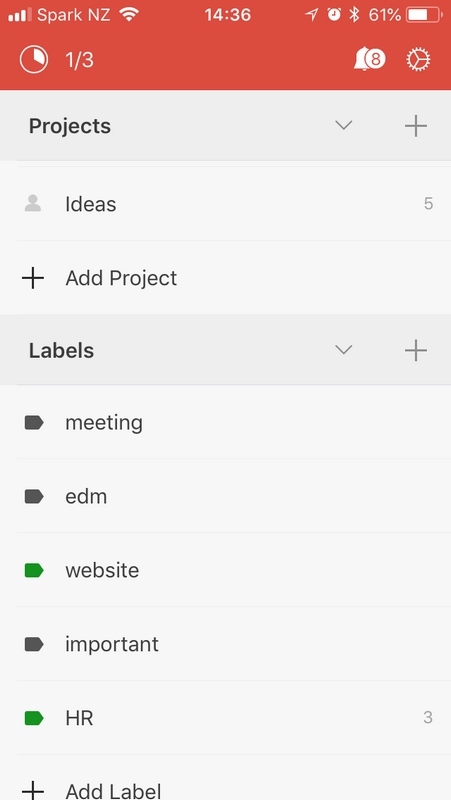 I’ve also set my team up with Todoist accounts and can allocate tasks to each team member and set due dates. I receive a notification when a team member completes a task assigned to them. Pretty handy. In terms of costs, it’s largely free. I have a premium account that unlocks extra features – like emailing to a project – plus there are business plans set up that are more suited to teams. Are you using video yet? Of course you are! Facebook, Instagram stories, websites, email campaigns, internal documentation, etc., all benefit from a good video. 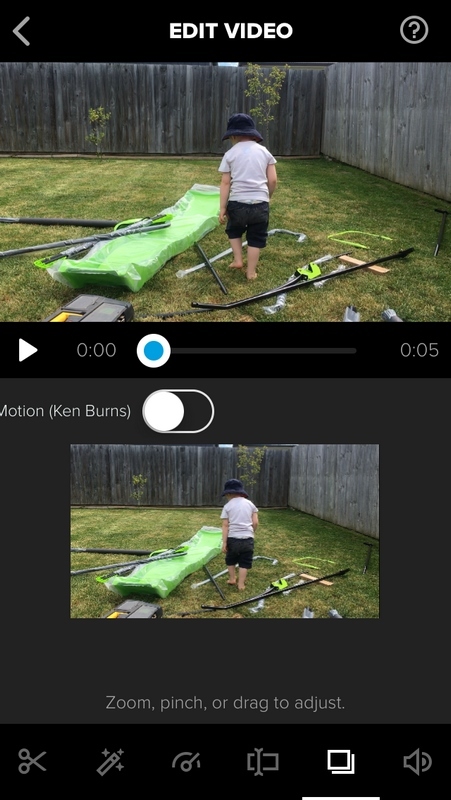 Great videos can be produced right from your phone, but I’ve found that the iMovie app for iOS can be fairly limited. 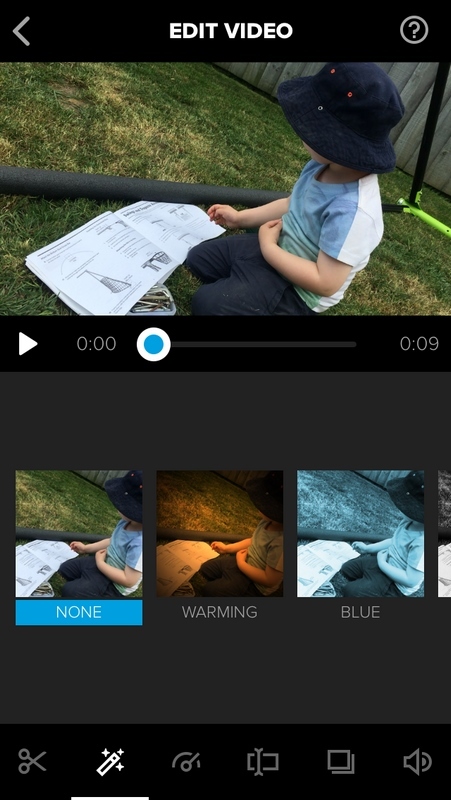 There are heaps of video editing apps available, but I like to use apps from fairly well-known publishers and the App Store is riddled with fairly low-grade apps that often throw watermarks or entire credit screens into your videos unless you pay. That’s fine, but often those paid-for apps become dated and you learn that you need new functions not available within the app, so the hunt begins again. Royalty-free music and sound effects: choose from a huge range, all categorised by different genres. Set their volume against your video’s own audio track and add multiple tracks, including your own voice-overs (if you record them directly into Splice). You can also connect to iTunes for more music, but obviously be conscious of licensing rights. Video positioning within the frame: a slightly hidden-away feature, but you can re-position the video within the frame, pinching to zoom in and then drag to focus in on a particular object, or zoom out to leave some surrounding space for you to add text. Change the speed and volume of individual videos within your project. Add filters, etc. 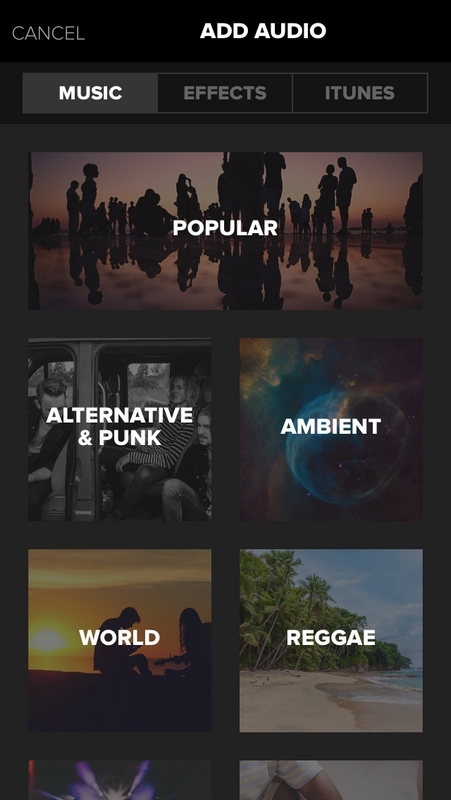 Along with Splice, there’s a similar app by GoPro called Quik. This one’s more for automatically producing exciting videos with animated graphics and text. One thing to note is that you don’t seem to be able to import your audio from the iPhone ‘Voice Memo’ app into Splice. For that, I had to resort to iMovie. The scenario is that you record a video on your camera but have a mic plugged into your phone, hidden in your pocket, for the audio track. If you import your video onto your phone so that you can combine the audio and video tracks, I’ve found that you can’t add the Voice Memo file while in the iMovie app. The workaround is to head to your recording in Voice Memo and then use the share icon and ‘Open file in iMovie’ option. Your recording will be added as a separate audio track that you can now add video to. Too confusing? Leave a comment and I’ll help you out! If you’re like me, you get hundreds of emails a day. Unlike some, I have no issue with emails so long as they’re clear and purposeful, but they sure can take time to wade through, particularly if your team regularly use emails to communicate, send files and links, etc. Let alone if you have a huge email group where certain… comedians… regularly like to ‘reply-to-all’! 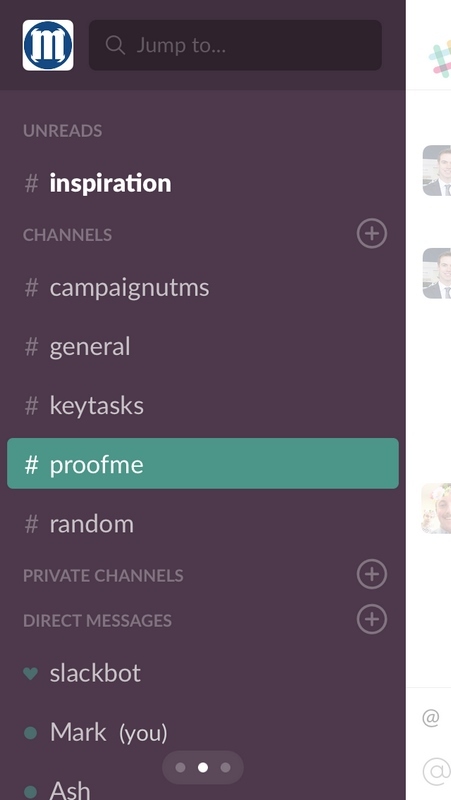 Team communications are exactly where Slack comes in. 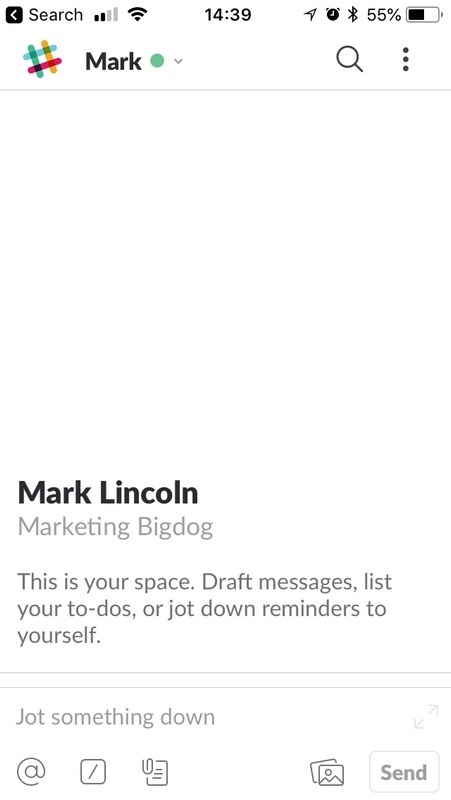 Rather than filling your email inbox, Slack allows for communication in custom ‘threads’, i.e. topics, and is ideal for quick chat messages. You can send links and files easily and respond with simple emoticons if that’s what floats your boat. You can even search for and post animated gifs, adding a touch of internet magic to your Fri-yay afternoon. Slack has reduced the number of internal emails in my department a fair bit. We have threads for inspiration/ideas, project tasks, and also a thread called ‘proof me’ where we post our creative for the team to check out before publishing or sending up the chain for approval. Our most recent thread is just for UTMs in Google campaign tracking URLs. If we create one, we post it here so that everyone knows to use the same format if publishing ads or other content under the same campaign. It also helps to standardise our approach to Google campaign tracking. Slack’s especially handy if some of your team work remotely or are regularly off-site. 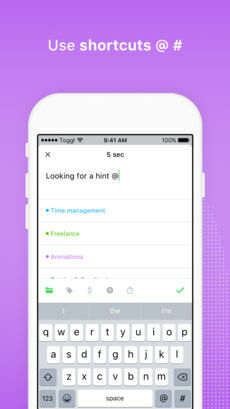 Like to-do lists, I’ve been through a few timekeeping tools, tied in with project management apps. These have included Basecamp, Harvest, and LiquidPlanner. It’s important for large groups such as ours that we record time spent with various stores, as well as on particular projects. While visual graphs are great for quick reporting, exporting to a .csv is particularly important for us. 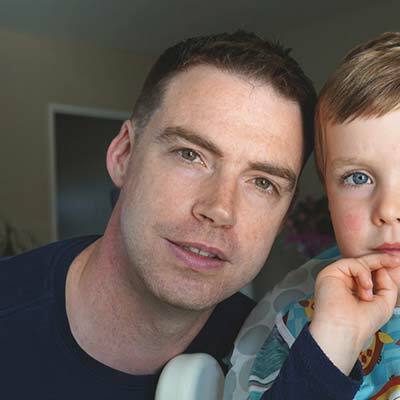 We’d settled on LiquidPlanner for a few years. It’s a powerful tool for project management, but if your main need is to record time against a large number of projects, it can be quite cumbersome. We also weren’t using a number of the high-level project management tools within the package, so a lot of our spend (and it’s a fair spend) was going to waste. When we hired a new team member, they introduced us to Toggl. 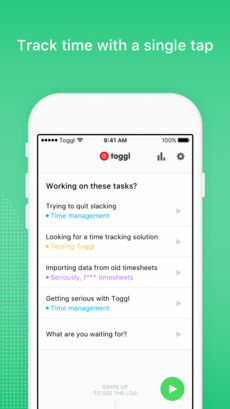 Toggl makes time tracking so simple you’ll actually use it. 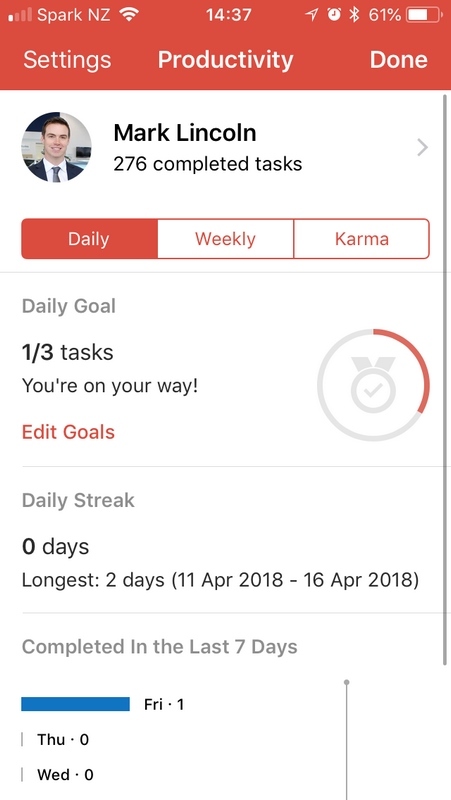 It’s well supported with browser, desktop and smartphone apps (plus a nice widget for iPhone so you can quickly see which tasks are due today) as well as integration with software like Outlook, plus it has awesome features like pop-up reminders when you’ve been recording time but haven’t been using your computer. You can even use the desktop app to record how long you’re using particular programmes and websites for. Pretty impressive. For me, the feature that really won us over was how easy it is to jump into and start recording time against any task – new or pre-made. As you quickly type the title of your task, the timer starts straight away and, if you’re referencing an existing task or project as you type, that item will automatically become active so no need to search for it within a potentially lengthy list. 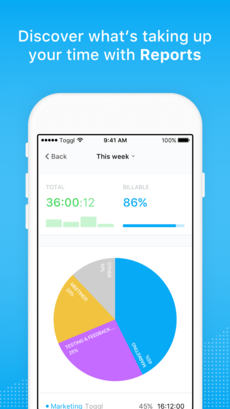 As a side note, Toggl have also made an app called Superday which automatically tracks and categorises your daily routine so you can see how much time you spend sleeping, working, commuting and doing other activities. You can tell it what you want to achieve each day and it’ll show whether you’re on track. Too much tracking? I’ve only just come across the app so I’ll let you know! I use a lot of apps on a daily basis. I’m almost ashamed to show my phone to people as their first response is usually “OMG how many apps do you have?” I’m the kinda guy that likes to work with a few similar apps, just to make sure the one I’ve chosen really is the best suited to the job. For that reason, this list is constantly updating. Follow me on Instagram and keep an eye on my story highlights (I have one called ‘App Tips’) for demonstrations of these apps and more.